Part of the reason I don’t have a standing appointment at the nail salon is that it’s guaranteed that my mani will fall apart as soon as my hands escape the dryer. Even with the best top coats guarding my paint job, it seems a curse has been placed on digits. And at this point, I won’t keep sacrificing my hard-earned cash to see if things have magically changed. I’m also a minimalist who–*gasps*–prefers a naked nail (or one covered in clear polish) filed to perfection instead. But for those of you who prefer something that mirrors the sunny summer vibes or a dark and moody color that goes against the seasonal rules, I implore you to protect your shade. Like a base coat, the non-negotiable top coat may not completely ward off chipped polish, but it will at least delay it enough for you to feel good about the money you spent for it. The best ones contain strengthening ingredients like keratin and also taut some sort of quick-drying technology. Really, what matters is that you’re using one period. Plus, most of them are crazy cheap, which means you have basically no excuse. Invest and invest fast with any of our top picks. A protein-rich treatment for promoting growth. 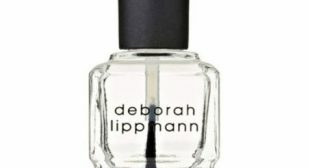 This top coat adjusts to natural light exposure and promises at least a week of substantial wear. No lamp required when you coat your gel polish in this topper, which provides up to 14 days of shine. This topper is activated by natural light and gives your polish next-level shine. If you don’t want a shiny finish, but just as much hold, grab this one. Strong hold and ingredients for growing your tips. This one is void of harmful ingredients and gives your polish a holographic finish. This vitamin-boosted formula can be used under and over polish for double-duty coverage. Formulated without the nasty chemicals and infused with polymer for high-shine hold. Be sure to apply this top-rated option for extending the polish shine.